In 1947 Carlo Barassi, engineer of Pirelli, together with Renato Teani, in the financial dpt. 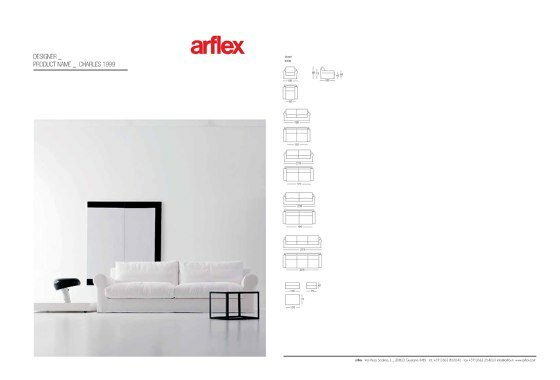 of Pirelli, Pio Reggiani and Aldo Bai, founded the company Ar-flex (flexible furniture), that became later arflex. 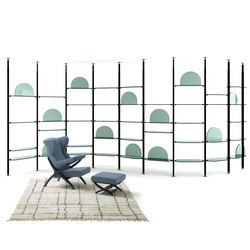 They worked together with a young architect Marzo Zanuso and began to experiment the use of foam rubber and elastic tapes for the furniture market. 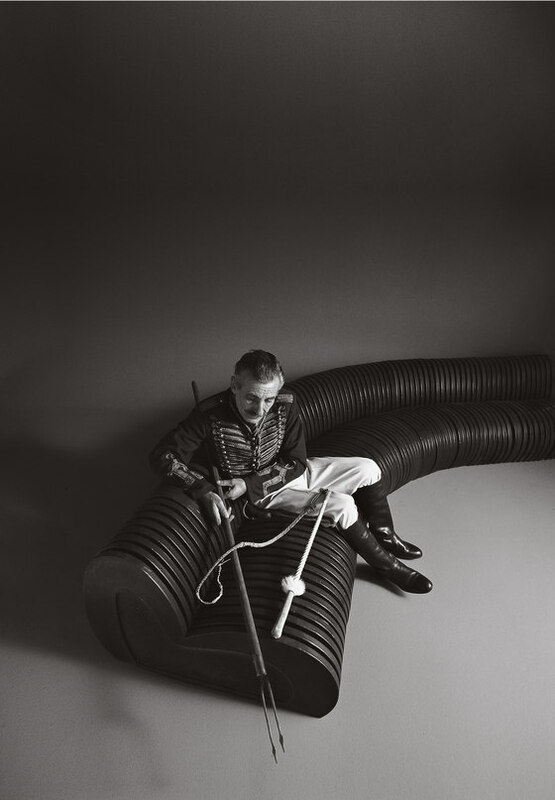 Arflex is constantly focused on cultural experimentation, that allows to impose new, technological products, that were totally new at that time, as, for example, four models of Marco Zanuso : Lady armchair (1951, award Medaglia d’oro at IX Triennale), Sleep-o-matic sofa (also in 1951, award Medaglia d’oro at X Triennale), Martingala armchair (1952), Fourline armchair (1964, award Medaglia d’oro at XIII Triennale), then Fiorenza armchair (Franco Albini, 1952), Lucania chair (De Carlo 1954), Delfino armchair (Carboni, first example of animal-design), Cubo armchair (Castiglioni 1957), made on occasion of the event in Como “colors and shapes of the today’s home”, realized as prototype and never put in production. 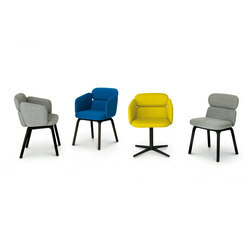 Elettra and Neptunia chairs (1953 and 1954) designed by BBPR or Hall seat (Menghi, 1958) and the first furniture directional pieces designed by Roberto Menghi in 1961, allow to extend the production to the office furniture or to public spaces, together with home space. 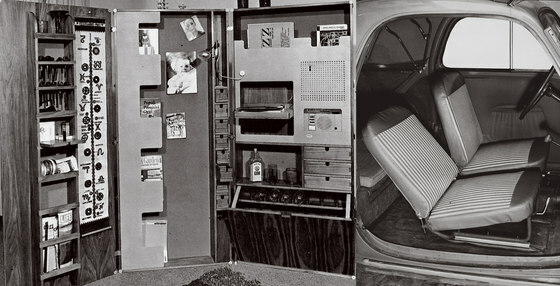 Between 1951 and 1954 arflex produced various models of car seat designed by Carlo Barassi ('MilleMiglia' and 'Sedile Lettino' suitable for 'Fiat Topolino'). These were fitted into the vehicle instead of standard production seats and offered outstanding comfort, thanks to the use of foam rubber and elastic tapes. The covers were removed and the seatbacks were flappable. 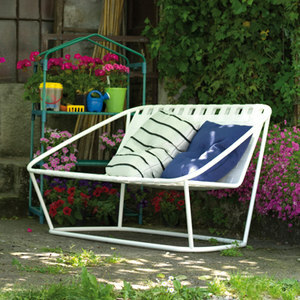 Arflex strove to make its contribution to the comfort of those Italians, who were beginning to travel. 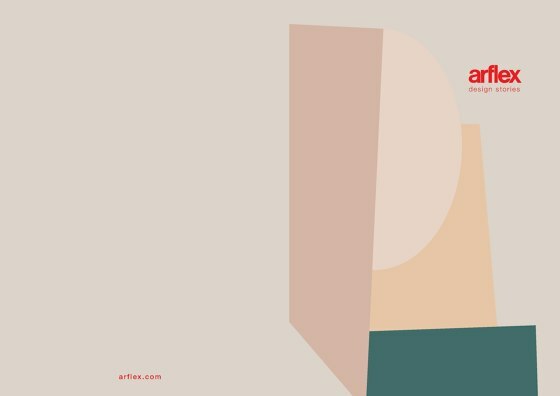 Between 1955 and 1960 arflex began its diffusion on international markets with creation of consociated societies for manufacturing and sales in Benelux, France, Switzerland and Spain. The rose of designers collaborating with the company enlarges during those years, including several components of Italian design and projecting managers of new generations: just to quote Carlo Bartoli, Maurizio Calzavara, Joe Colombo, Sergio Mazza till Cini Boeri. 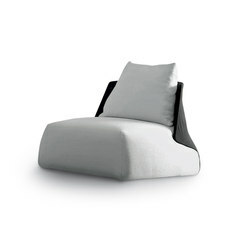 Very innovative, both on technological and formal side, are the products starting from second half of the 60es: Gaia (Bartoli, 1965) is an armchair in polyester resins and glass-fibre; Bobo (Boeri, 1967) is the first mono-block seat in polyurethane foam without internal structure; Serpentone (Boeri, 1971) is a revolutionary sofa in polyurethane assuming winding shapes for an endless length. Immediately after comes the Strips series (Boeri 1972 Compasso d'Oro in 1979) perfect testimonials of a new way of being totally unbound to traditional 'labels', lived as a liberating attitude, to be treated like sleeping-bags or soft wind-jacket to wear. 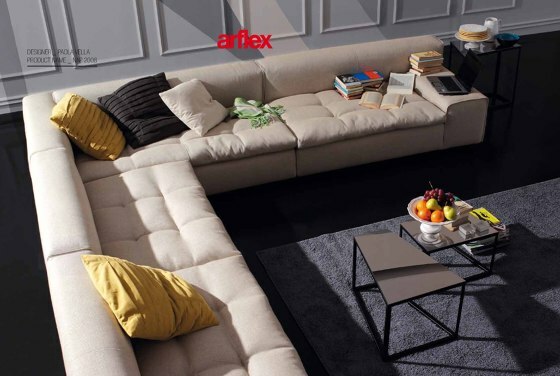 While collaboration with architects and designers becomes larger, towards end of the 60es arflex gives birth to other consociated companies (arflex Japan was founded in 1969, arflex du Brasil in 1970) a sort of arflex-look coming out few years later all over the world. 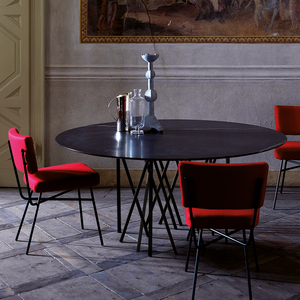 In 1969 the new factory in Limbiate was built and show-room were renewed, from the one in Rome to the historical seat in Milan's Via Borgogna. In 1966 arflex with Cassina, Tecno and Bernini found the magazine Ottagono, which became one of the most important architectural magazines. 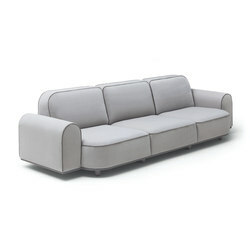 In the 80es arflex under a new property, keeps on maintaining the engagement to collaborate with architects, from Luca Meda, Michele De Lucchi, Anna Castelli Ferrieri, Paolo Nava to Fabrizio Ballardini (Ribalta sofa 1993 awarded in Cologne with award Top Ten), to international architects, as: Oscar Tusquets, Burkhard Voghterr, Isao Hosoe. 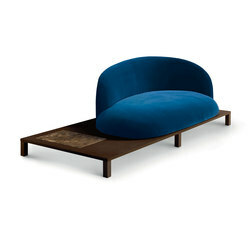 In 1995 the trademark becomes property of seven salotti spa, who reopens the show-room in Milan's Corso Europa (cured by Pierluigi Cerri 2001), restarts production of a series of products belonging to the historical archive not only for mere re-edition, but also because of its still very modern line, functionality, their surprising actuality and their being unique. New property keeps on the collaboration with international architects: Studio Cerri, Studio Sottsass, Michele De Lucchi, Isao Hosoe (Dune, 1995 The Design Distinction Award), Hannes Wettstein (Spline International Design Award 2002), Prospero Rasulo, Carlo Colombo, Christophe Pillet, Vincent Van Duysen, Cini Boeri, Carlo Ferrando, Mauro Lipparini, Burkard Vogtherr, and restarts collaborating with young designers as Monica Graffeo producing the Mints chair (Young&Design award 2004). arflex restarts the 'experimentation-research' created by arflex in 1950, where the shape of the object was given by using materials and technologies; examples of this are the table designed by Stefano Gallizioli in 2002: its shape is bound to innovative registered technology for production and assemblage of the top or the seats for airports designed by Mangiarotti in 1998, where the marble-base was produced with a new cutting technology. 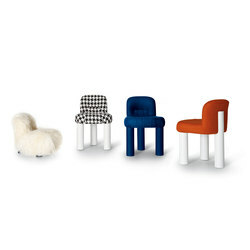 These products just remained prototypes, while shelves Live designed by Giuseppe Viganò in 2004, were put in production. 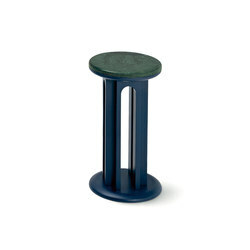 The designer adapted the shape of the shelf to the utility-patent invented by the company. 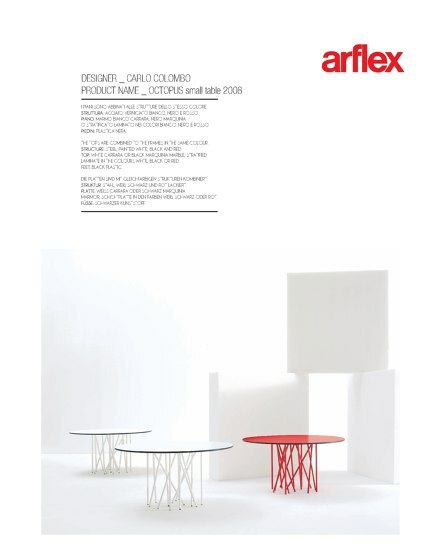 Starting from 2005 the architect Carlo Colombo performs the important rule of artistic director of arflex. 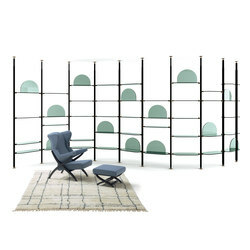 As first step, he planned again the internal space of the showroom in Milan, giving a new idea of interior and design. 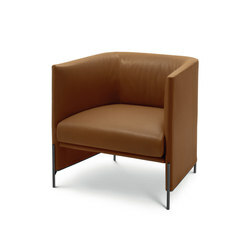 In 2006 he designed the armchair Cocca, that expresses the synthesis between hard and soft : from one side there is the hard frame in polyurethane, made from one unique mould, synonymous of modernity and resistance, designed to confront time, and from the other side the soft, with the comfort, welcome and relax. 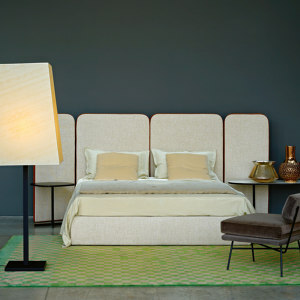 In 2007 arflex celebrates 60 years of the brand, making an event in Via Savona, in Milan, presenting his historical archive, that was visible for the very first time to the public. 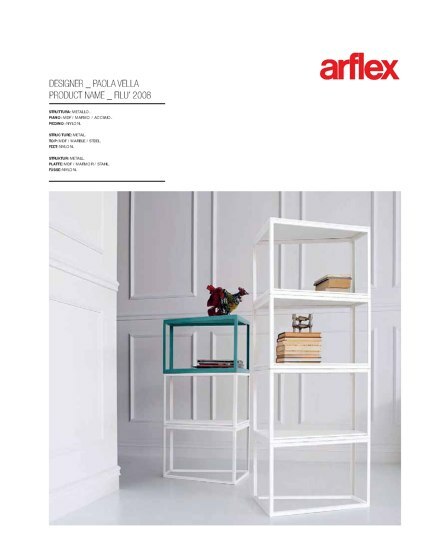 In the same year, arflex won two very important awards : “Wallpaper Jaguar” for bookcase Twist, designed by the architect Carlo Colombo and for the best re edit product, designed by Mario Marenco. 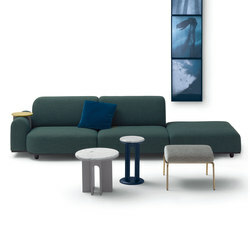 Starting from 2008, arflex starts the splendid relationship with the Swedish architects Claesson, Koivisto, Rune, who designed in 2010 the furniture elements Hillside, that won the “Wallpaper Design Award”. 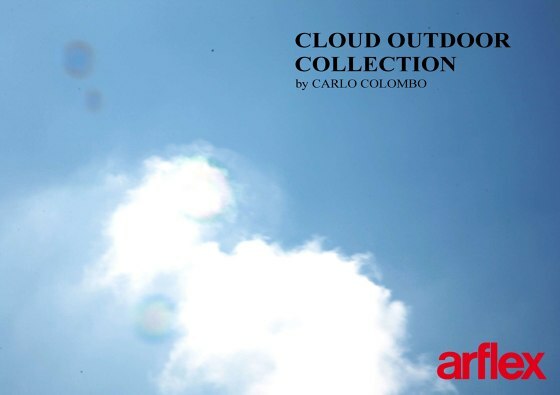 Always in the same year, arflex presents for the first time in his history, the Cloud collection for outdoor, designed by Carlo Colombo. 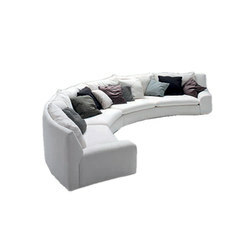 This project permits to arflex to win the award “Edida Elle Décor International Design Awards” 2010/2011. 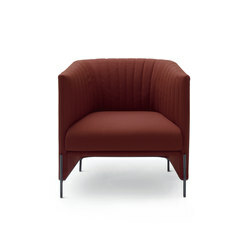 In 2013 Claesson Koivisto Rune designed the armchair Hug, that becomes immediately a model with success in community and home space. 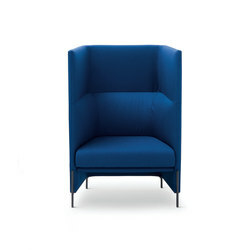 The Hug family was designed and planned with particular and total care, in order to give the maximum of flexibility to the client, in order to be nice and beautiful from the aesthetical point of view, in order to be personalized in colors and materials. 2014: arflex invites to discover the new project designed and coordinated by Jean Nouvel, called KNP. 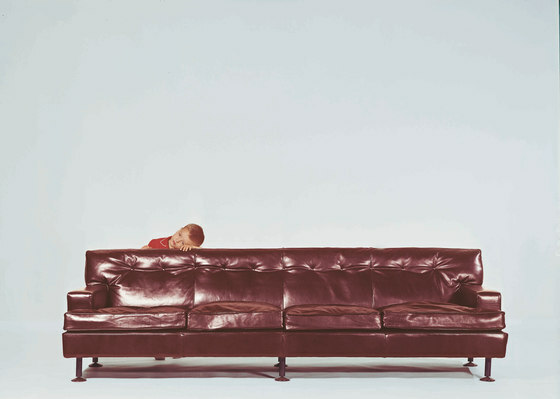 It is the interrogation on the archetype of the sofa, the reinterpretation of the today’s technologies, in order to propose a new way to live, to sit down, to love, to roll up, to divide : it is a new way to create a “nest”….. 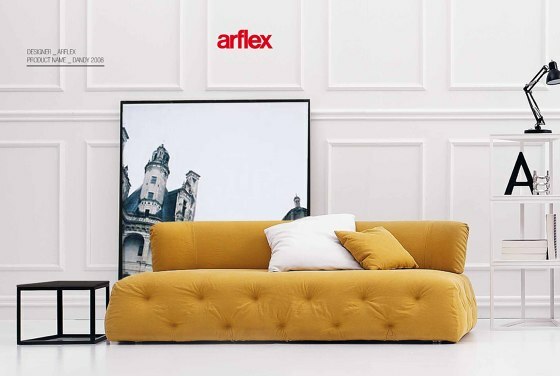 In the same year, arflex starts a new cooperation with the architect Luca Nichetto, who designed a series of new projects that contribute to create the style of living in the home spaces, typical of the Italian design. 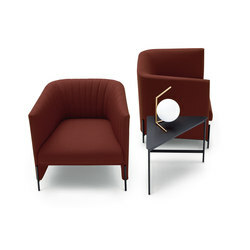 The seat system Ladle wants to modernize the design in contemporary key, but above all the feeling and comfort of the classical seats of 60’s years. 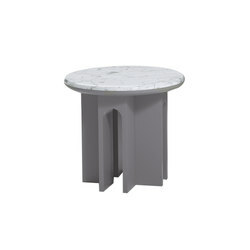 In 2015 Claesson Koivisto Rune present a seat project called Mangold, inspired to art and geometrical shapes of the architecture, in order to create a never ending numbers of compositions. 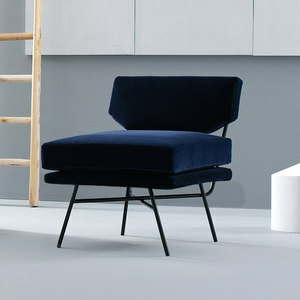 The armchairs Jim&Jules, designed always by the Swedish architects, are simple armchairs but with a very high seat comfort. 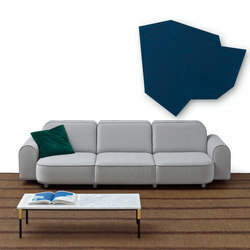 Their round shape permits to place them in all ambiences, in an architectural contest. 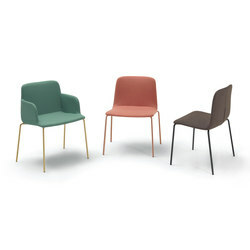 Arflex begins also the cooperation with the Spanish architect Mario Ruiz, who designed the model Bliss, that can be adapted in a home space or also for contract and community, for the versatility of the legs. 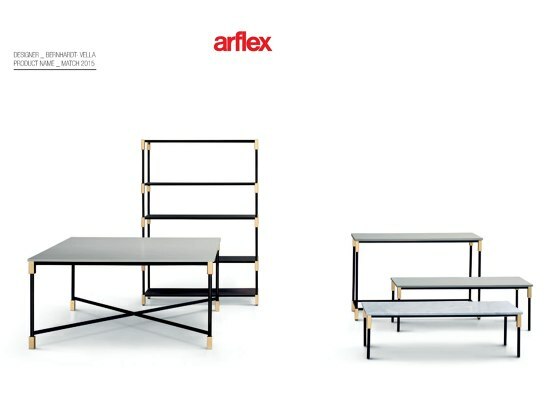 2016: arflex increases its collection with significant pieces of the historical archive, arriving to have fourteen icons of the Italian design, designed by the architects Cini Boeri, Franco Albini, BBPR., Marcello Cuneo, Mario Marenco, Erberto Carboni and Roberto Menghi. 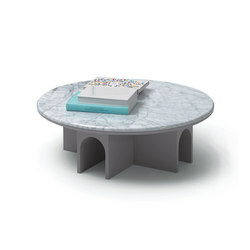 Arflex presents the new seat collection Bonsai, designed by Claesson Koivisto Rune, inspired by reflections upon Japanese aesthetic and culture. In stark contract, rectilinear wooden platforms supported on low, wooden legs elevate these rounded, upholstered forms above the floor plane. The relationship with the office Bernhardt&Vella permits to realize for the first time in the arflex history the lamp Papillon and the screen Vela, where two colored glasses with different, but complementary shapes, play with transparencies.